What does it mean to have a global mindset? This is something that many academic communities preach, but very few practice. A global mindset represents not only thinking globally, but also finding ways to impact communities and causes around the globe, connecting people with passions, and creating a better world for generations to come. Over the last year, Spartan Global Development Fund (SGDF) has done all of this – and so much more. Launched in 2009, SGDF enlists financial sponsors and facilitates microfinance loans to aspiring entrepreneurs throughout the developing world. These entrepreneurs span from artisans to free-trade coffee farmers, primarily located in South American towns and communities. “We run this organization as seriously as we would a professional job,” said Scott Lyman (BA Finance and Social Relations & Policy ’18), SGDF president. “This powerful experience allows us to leverage capitalism to change lives and to use finance and business as a tool of social change,” he said. The 2016–17 academic year proved especially active for SGDF. Just recently, SGDF facilitated a $1,378 microloan – one of its largest loans to date – to field partner in Guatemala As Green as It Gets. The money will be used to help support coffee farmers in the community recover their harvests after a devastating fungal infection. Financial support from SGDF’s alumni base, MSU residence halls, individual donors, and corporate backing from Meijer, MSU Federal Credit Union, Pretty Pink Houses LLC, and Union Pacific over the past year have made this recent SGDF microloan possible. SGDF, run entirely by and open to all students, includes membership from the Broad College of Business, the James Madison College, the College of Engineering, and the College of Agriculture and Natural Resources. 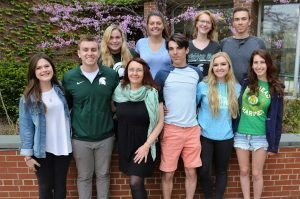 The SGDF’s companion organization, a 501(c)(3) nonprofit organization, advises and supports the student group and is overseen by a seasoned board of directors. 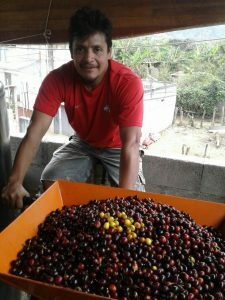 Victor, a coffee farmer in Guatemala, is the most recent entrepreneur to receive a SGDF loan for his business. “These aren’t your average students, and this isn’t a typical student club,” said Paulette Stenzel, SGDF advisor and professor of sustainability and international business law in Broad’s Department of Finance. “Our students are truly remarkable in that they manage the entire loan process – everything from cultivating relationships to writing loan contracts, consulting, and understanding the microfinance process. They not only gain a level of business experience, but feel the impact of social, economic, and financial empowerment,” she said. How it works: SGDF finds donors to finance loans through Kiva.org, a non-profit online lending platform. Through Kiva, and by lending and relending funds upon repayment, SGDF has distributed nearly $61,500 in microloans to more than 2,000 individuals and cooperatives in 72 countries, 99 percent of which have been repaid. Since 2011, when the companion 501(c)(3) was formed, SGDF has also made direct loans through field partners in Nicaragua and Guatemala. Those loans, ranging from $400 to $2,500, have assisted artisans and coffee farmers in these respective countries. With new and repaid funding, the SGDF team works closely with its field partners to identify new investment projects. SGDF develops loan contracts to ensure swift loan repayment, then facilitates the transaction. After the loans are repaid, the process begins again with new entrepreneurs. “From our field partners, we learn the ins and outs of microfinance, non-profit business consulting, and most importantly, humanitarian support,” Smith said. “The Kiva aspect of our business is especially interesting to me, because it helps us to see who and what our efforts support. One hundred percent of what we’re doing goes to these global entrepreneurs, but our digital presence through Kiva allows us to have an immediate impact,” Smith said. Looking ahead, SGDF has big plans: setting measurable goals for more loans, increasing alumni support with campus events, chasing more corporate-backed loans from local sponsors, and—hopefully—funding a trip for SGDF team members to Guatemala to see the impact of their recent efforts firsthand. * Noted in caption denotes students also in the Honors College.